Fun colors and a simple modern style adorn this custom ring bearer pillow. Choose the colors of your choice and don't forget to put in the important wedding details in the notes on your order. 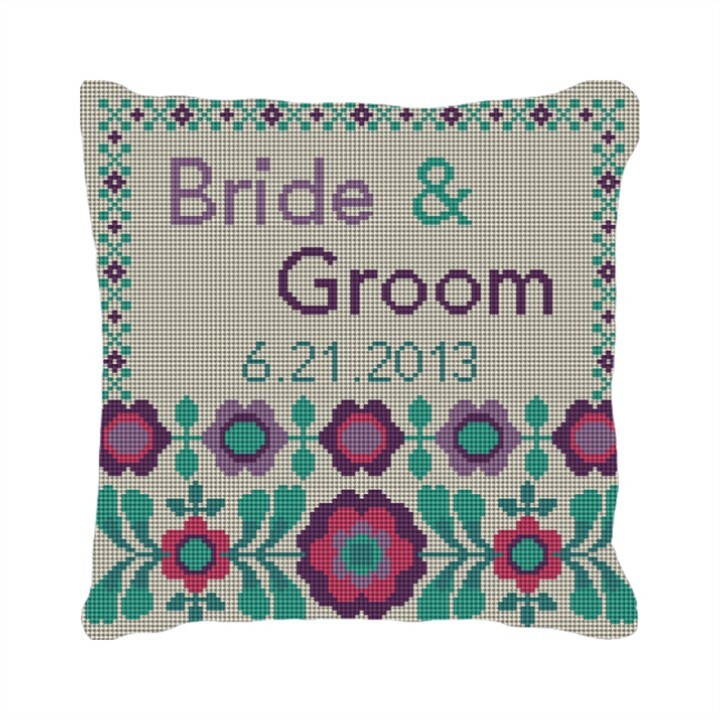 This pillow will not only be the talk of the wedding, but it is sure to find a way into the happy couples home.